Now that you’re finally retired, there’s nothing holding you back anymore! Make the most of your time by going on those foreign trips you’ve always dreamed of without having to worry about running out of annual leave, or having to face piles of work when you get back home. Begin your Russian trip in the capital city – Moscow. Sign up to view the regal ball gowns and jewelled Easter eggs inside the Kremlin (translated as “the Fortress of the City”). You can then take a trip back in time to 12th century Russia, as you take a driving tour through Suzdal and Vladimir in the Golden Ring. Suzdal still has five monasteries, but was once home to 15. Take a luxury train trip to view India’s many wonderful sights with 12 days on board the Deccan Odyssey train—a luxurious way to visit this expansive country’s greatest centres of culture and history. 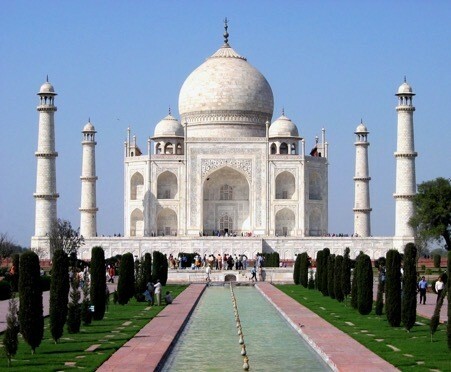 Starting in Mumbai, you will travel across the subcontinent as you make stops in Delhi and Jaipur and explore grand palaces and ancient palaces, such as the Taj Mahal. Depending on the time of year you wish to travel, it’s worth checking out a holiday comparison website like travelsupermarket.com to source the best flights and accommodation deals because if you book close to your travel date at peak times then it could be expensive! If you’re a lover of wine, beautiful scenery and gentle strolls (who isn’t) then you can enjoy one of many easy walking holidays on offer in France. Specialist tour and holiday operators like Belle France offer a plethora of handpicked getaways for you to enjoy, specifically in the heart of France’s wine region, the Loire Valley. Start with a leisurely walk through a string of quiet, yet beautiful villages with rolling vineyards; all an easy walk over a gentle hill from your hotel. Try out the daily classes at the Four Seasons hotel’s Lanna-style cooking school which focuses on the unique dishes of this northern city, once a favourite of Thai royalty during the summer months. Afterwards, you can take part in a fruit-carving session and get to grips with an ancient Thai tradition. The next morning, go to the river and visit the “wet market” stalls teeming with spices. Climb aboard a riverboat to the Golden Triangle where drivers (called ‘mahouts’) teach you how to ride friendly elephants. Sail the Nile aboard a cruiser, or retrace the caravan routes and silk roads of merchant princes from ancient times. Explore remote outposts in the Sahara desert or breath-taking Byzantine cities. In Egypt you should be able to make the most of your money, so why not follow one of the seasoned Abercrombie & Kent guides who will accompany you as you make the descent into the tombs of Seti I and Nefertari. You can then visit the Museum of Antiquities and the Giza Plateau.